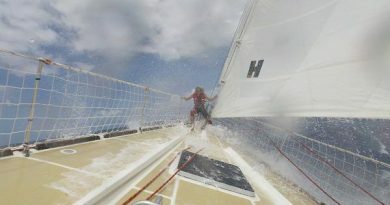 PSP Logistics has moved into poll position on Day 9 of the Dell Latitude Rugged Race to Fremantle. Sticking to the more southerly route, it has taken a 32 nautical mile lead over Sanya Serenity Coast, which until now has led the entire race. With the majority of the fleet opting to sail on the unfavourable tack, distance covered towards Fremantle was minimal, with the majority travelling less than 100 nautical miles in 12 hours and not always in the right direction. Sanya Serenity Coast Skipper, Wendy Tuck, explains: “We did our losing tack yesterday, this means we had to tack knowing it would be an ugly angle (i.e. sailing back the wrong way) but needed to do it. 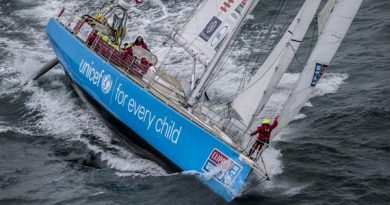 Due to its northerly positioning Dare To Lead has dropped to sixth, with Liverpool 2018 and Unicef not far behind in seventh and eighth place respectively. 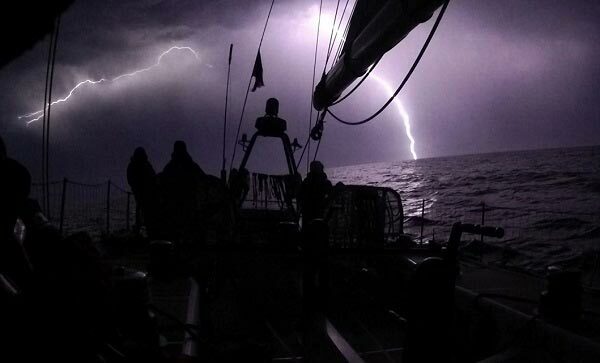 As the fleet continues to battle the uncharacteristic breeze from the east and the resulting upwind conditions Lance Shepherd, Liverpool 2018 Skipper, says: “We continue to fight into the wind to make progress east, watching the daily weather files and localised signs to pick the best route. 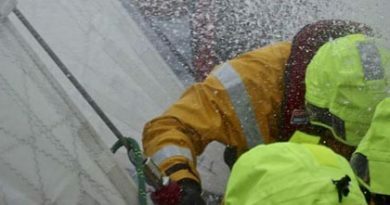 It is proving difficult and there is often a lot of doubt amongst the team if we are making the right calls. HotelPlanner.com, currently in eleventh following a successful medevac in Port Elizabeth on Day 4, is also now back on the favourable tack. Skipper, Conall Morrison, reports: “This morning sees us close hauled on a starboard tack making a course for somewhere like Bali. My calculations make it as over 80 percent the right direction, better in a gust. Simon Rowell, Clipper Race Meteorologist, explains that the two weather systems, the high behind the fleet and the low now to the north east are combining as expected. The closer the teams are to the low the stronger the wind will be. Those further north and closest to the strongest part of the system, around the south west and southerly sides, will probably see 50 knot gusts every now and again. Whilst those further south, will have the other problem as the ridge approaches – less wind but at a kinder angle.